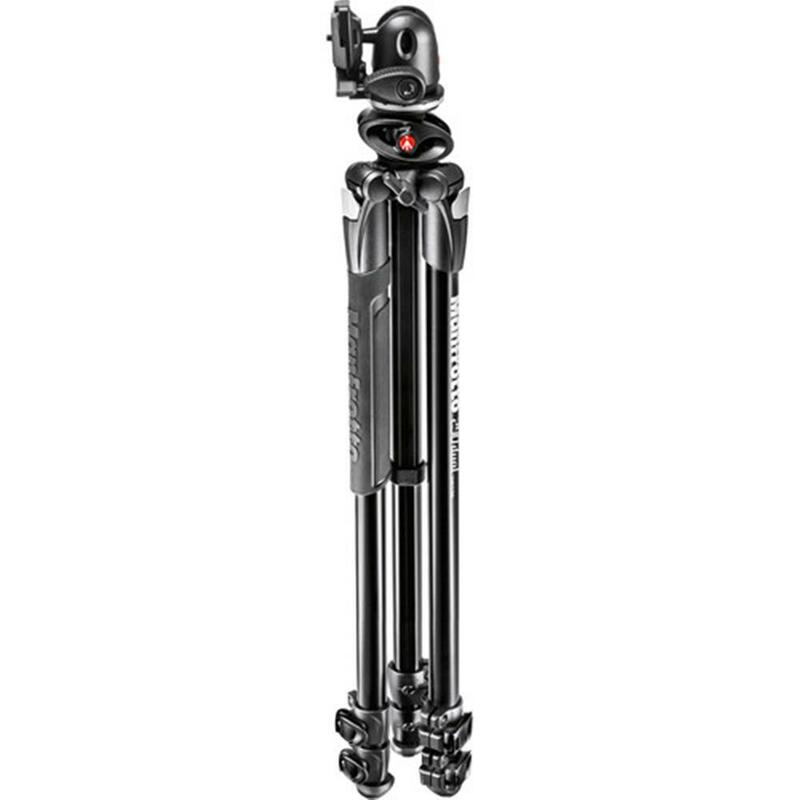 The 290 Dual is a 3-section tripod featuring aluminum leg tubes and top casting enhancing rigidity, durability and performance. Its aluminum leg locking levers are tension-adjustable, so they can be tightened to counteract any effects of aging and wear, keeping the tripod fully functional throughout its long lifespan. 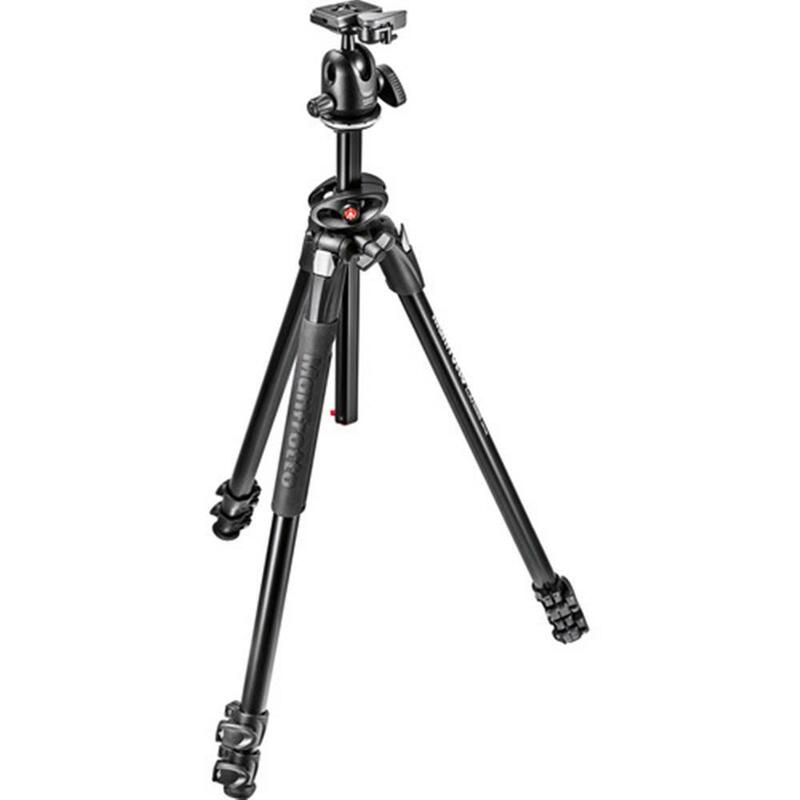 This tripod's key feature is the patented 90 degree centre column mechanism, which allows the column to be extended vertically as normal, or horizontally, effortlessly opening up a wide range of framing options. This makes it an extremely versatile tripod, suitable for a wide range of photography applications. Moreover its choice of four leg angle positions maximize shooting creativity, getting right down to ground level. A new rubber legwarmer guarantees comfortable grip and maximum ergonomics. The 290 Dual comes as a kit with a center ball head specifically designed for compactness and transportability. Its broad, spherical movement together with its quick release plate mechanism enable rapid, easy framing. The head carrying the 200 PL Light plate is fully made of aluminum and features friction control to help photographers make the finest adjustments to their compositions even with heavy equipment.